Its April!!! And this month is all about Parties here at Aalayam. So bring out the cocktail glasses and the paper napkins - yes! We have something for people big and small, young and old! 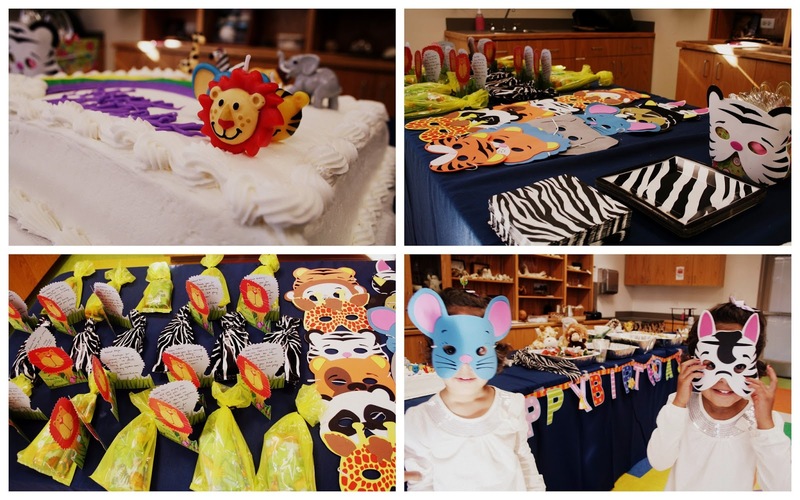 Do you need to whip together a super fun soiree for your kids preschool play date? Or is that a Birthday Party? Planning a Baby Shower? Wondering what to whip up for a quick and easy evening hor d'oeuvres with your neighborhood pals? Or is it an elaborate do where your boss AND his wife will sniff the wine vintage and give you (potential) brownie points for perfect cheese pairings? Fear not, We got you covered this April!! We start with the perfect storm of kiddie parties, and run through the whole gamut of casual and formal entertaining for your inspiration boards. Here goes. Follow the 3 step rule: Plan, Prepare & Rock the Party!! 1. The cardinal rule in party planning, especially if you are catering to high-strung (and easily bored) kids and their parents is - PLAN FOR EVERYTHING!!!!! ENTERTAINMENT, FOOD, DECOR, FUN AND FAVORS. Never wing it, and never undermine the power of planning (Plan A and Plan B, sometimes even Plan C), no matter what your husband, mother in law, and the overly concerned mail man say. 2. PICK A THEME (AND A LOCATION) - And stick to it as much as possible. It's fun, it keeps shopping and activities corraled and streamlined and it makes for lovely pictures. (hey, we live in the world of click-happy social media after all). 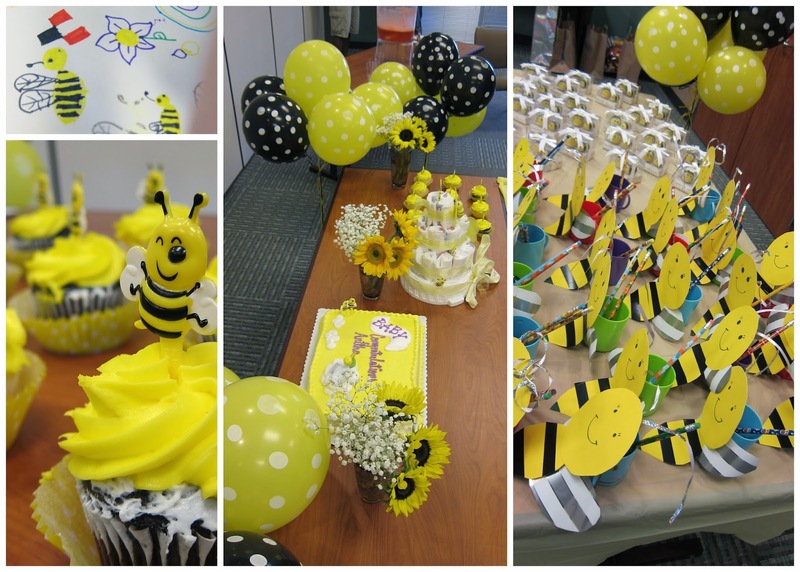 I have personally orchestrated a Bumble Bee Baby Shower, Two Peas in a Pod (My twin girls' first birthday! 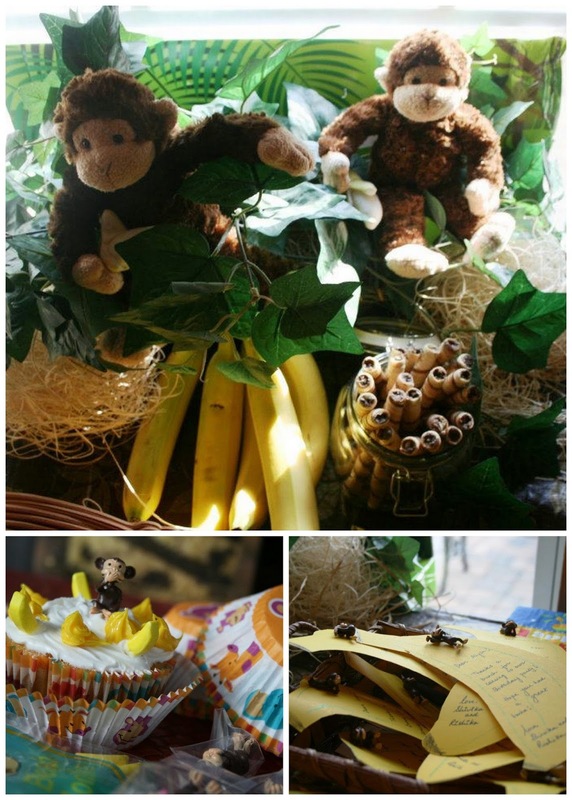 ), Two Little Monkeys jumping on the Bed, Zoo, Princess and Pirates Dress up Party themes!! For me, the theme is primary, the location is secondary. PLEASE PLEASE stay away from the boxed and manufactured "Chuck E Cheese" parties as far as possible. If hosting a party in your home/backyard is not possible, pick a park, a local community center, gym, pottery studio, pool, beach or yard (most of these locations are free!). I must confess, its fun for me pinteresting for ideas, talking to my sister and friends about what I should buy for favors, going shopping for sweet and eclectic items on eBay and Amazon, not to forget the trusty ole corner Dollar Store. And bringing it all together on the day of the party (Ok Ok - the night before!) And taking some SLR, and cell phone pictures before the guests arrive! Aaah.. cannot wait for my next party. Want some ideas girls? 3. DO NOT FORGET THE INVITES: It's all in the details ladies. So, have fun with your custom party invites. Once you pick your theme, going digital and creating your own invites can be really entertaining. Google theme images, use your most eye catching captions, pick your choice of program (Powerpoint, Picasa, Photoshop, Collage Maker, Shutterfly...heck, you could even doodle the invite up!). These custom invites can be a fantastic way to invite your friends and family for the party (of course), but can also make amazing keepsakes for the family albums. For me, invites are a must. They are a testimonial to the event that is being put together,and in the world of casual Facebook e-vites and instant message RSVPs, these digital invites act as a cool alternative to the tradition of sending printed invitations. Go Green Girls, But Do it in Style!! 4. 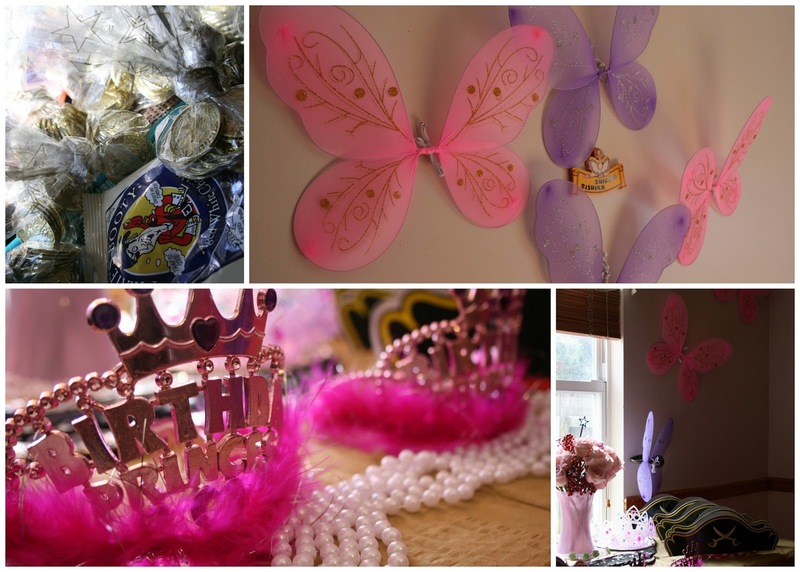 DECOR & FUN : As in an party, once the theme, location and invites are taken care of, it is time to start planning on how you will decorate, what kind of activities the kids will enjoy at the party, and what are the fun (also safe and useful) favors the kids will take home after the party. See, the theme makes it really easy to plan the above mentioned items. For the Bumble Bee Party, the kids drew on large poster boards with colorful crayons and markers. All I had to do was create a art corner for the kids and stock it with supplies. Of course, there were some frisbees, jump ropes and balls for the non-artistic types to engage themselves with while the adults socialized and ate. For the Zoo party (which we hosted at the local zoo), we had an animal show, where the kids could touch and feel some animals, and the zoo keeper kept up a constant patter of the animal type, what it ate, where it lived and so on. The best part about that party was that all guests got invites to visit the Zoo. Can't beat that. 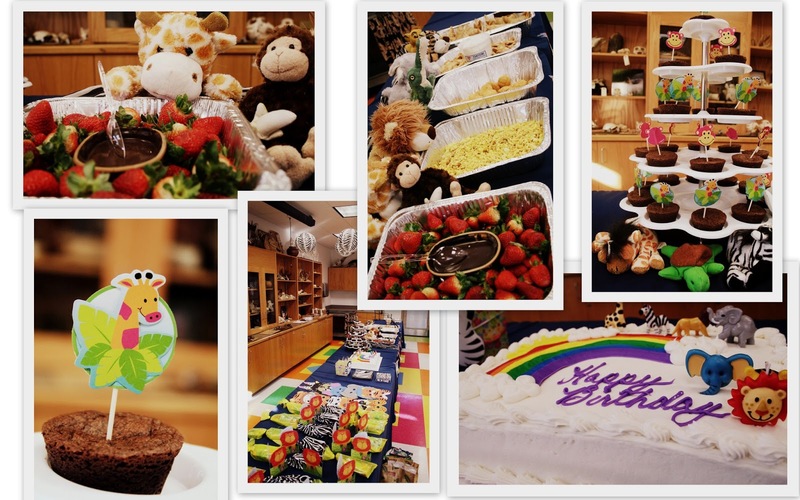 It was covered in the cost of renting the Zoo party hall (for $250, it cannot get better than that!). Another sure fire way of keeping the kids entertained (and not jumping on your couch), is to hire a bounce house. For about $200- $300 for 4 hours, you could let the bounce house get the excess energy of all the kids out while you enjoy adult conversation and hor d'oeuvres. A crowd pleaser if there ever was one. Its easy to stick to a color scheme based on your theme. STICK TO ONE OR TWO COLORS and repeat them throughout the decorating space (think balloons, silverware, napkins. even flowers). This is easy on the eye and it helps you keep the decor simple, yet eloquent! 5. OVERDO THE FOOD (PLEASE): This is imperative for me. And my friends, and guests will agree. Food is the glue that holds families and friendships together (at least where I live) and a party without good (or enough) food and drinks for both kids AND the grown-ups is a fail for me. I say this because, of late I have been to quite a few kiddie birthday parties where there was ABSOLUTELY NO FOOD FOR THE GROWN-UPS! Not even coffee. I remember walking across the street to get myself a Starbucks Latte while my kids were eating cake at the their friend's party. Hmmm...Failed Expectation? Having ranted that, make sure you have at least 2 sweet and 2 savory dishes (think chips and guacamole, popcorn, doughnuts, fresh fruit, cup cakes, brownies, bruschetta, samosas, cookies, apple cider, fruit juice, chocolate milk, coffee + birthday cake as your menu of options!) Do not forget to ask for allergies and food sensitivities as most often someone in your invite list will need a special consideration). 7. AND FINALLY - YOUR PARTY AIN'T OVER UNTIL YOU SEND A THANK YOU NOTE TO YOUR GUESTS. Yes, do not sit down and relax until all the guests have a thank you note in their mail boxes or in their person. Consider (of course) incorporating your theme for the thank you notes as well. For the monkey themed party, I cut out yellow poster bananas and stuck lil monkeys on them to create custom thank you cards where my hand written message could go. Let your imagination run wild, and don't be afraid to borrow an idea (The internet is FULL of great ideas). The best part of an idea, is not the idea itself, but its elegant execution. So, give it your flair. Another idea is to get your kids to paint something and make copies of it to "mass produce" your thank you notes! It always helps to write down what you got as gifts in the party from each of your friends and mention what a great gift it was (even if it was not!) if you are emailing them/ writing back to them after the gifts are opened! It's not unusual that the parents sometimes get thank you gifts/favors themselves. 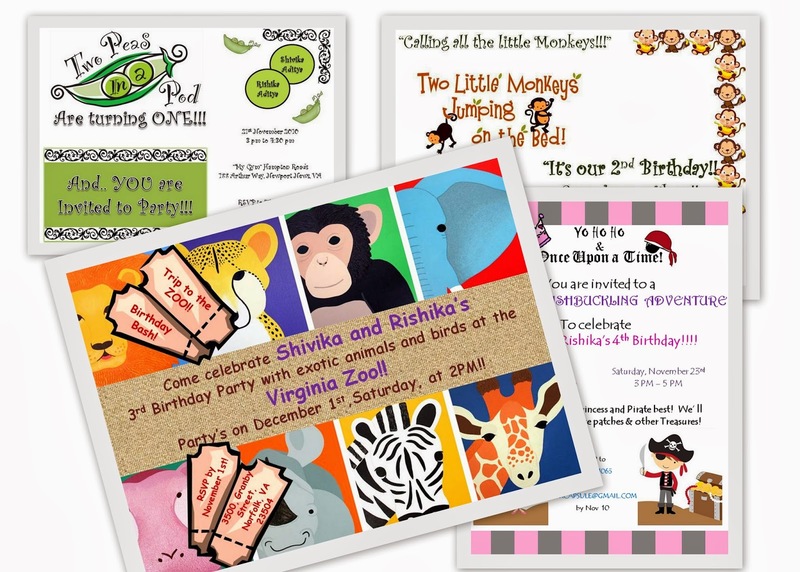 eBay and Amazon are full of thematic and fun party favors (two peas in a pod, bumble bee, zoo etc) that the guests/parents could receive as a thank you for coming to your party! To summarize, the more detail you put into your party, the more thought and personality you infuse into it, the more people will love it..the more you will be proud of yourself ! Its supremely easy to outsource everything these days (location, planning, activities, favors and food), but some home made, DIY thoughts and ideas will keep you and your kids warm when you look back at those old picture albums (Or Facebook!). 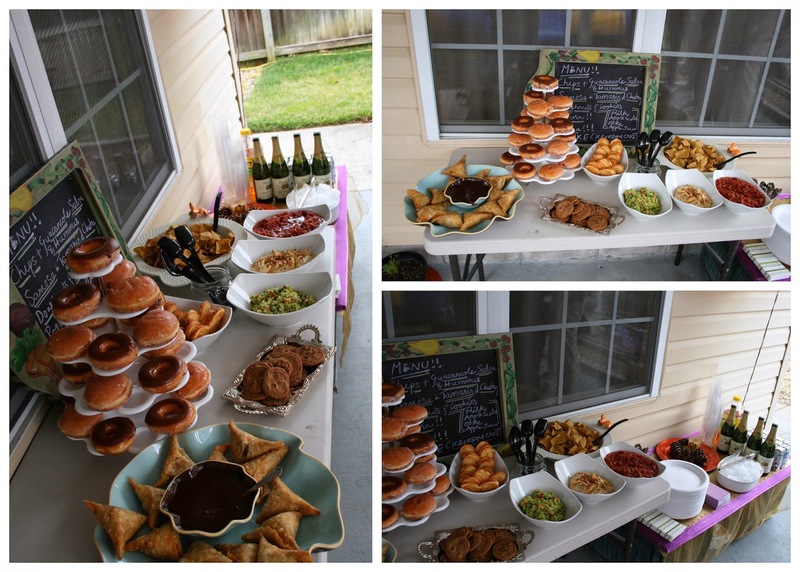 I loved putting together this post as this brought back so many happy memories of party planning and execution for my girls and my friends !! I feel thankful that I got an opportunity to share these pictures here in Aalayam. PLEASE share your party ideas, and pictures. We would LOVE to peek into your famous parties!! Do write to us at aalayaminspiration@gmail.com if you need some one to brainstorm with as you plan your next party. Supriya and Deepa at your service! p.s. All photographs are from Supriya's home and lens and are copyrighted to Aalayam. Thank you SJ. Appreciate you stopping by and commenting! Supriya! You've got me kindled girl :-) Planning parties is something I L.O.V.E! Your ideas are brilliant! 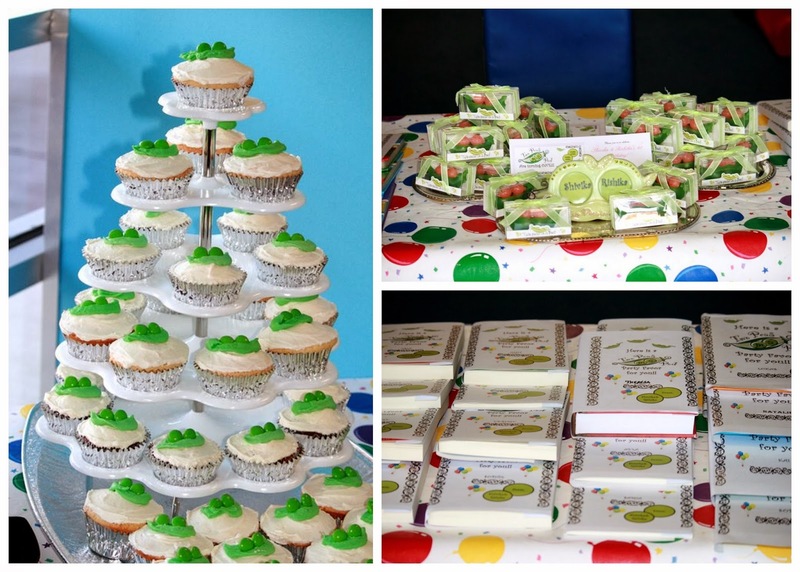 I've organised a couple of baby showers myself and my big self-organised event was my little girl's first birthday. And this year I'll do it all over again for my little man :-) I also have some fun ideas for little miss as she turns 3. Thank you for stopping by and for your gushing feedback. I think the common theme/party for your kids is a great way to get the same folks partying celebrating the wonderful tiny humans in your life! Good luck and thanks for sharing your party pictures. Loved this adorable kiddie party. Would really love to arrange similar themed birthday party for my daughter at one of Venues in San Francisco. Planning to use your few ideas there. Thank you for sharing this awesome post here.